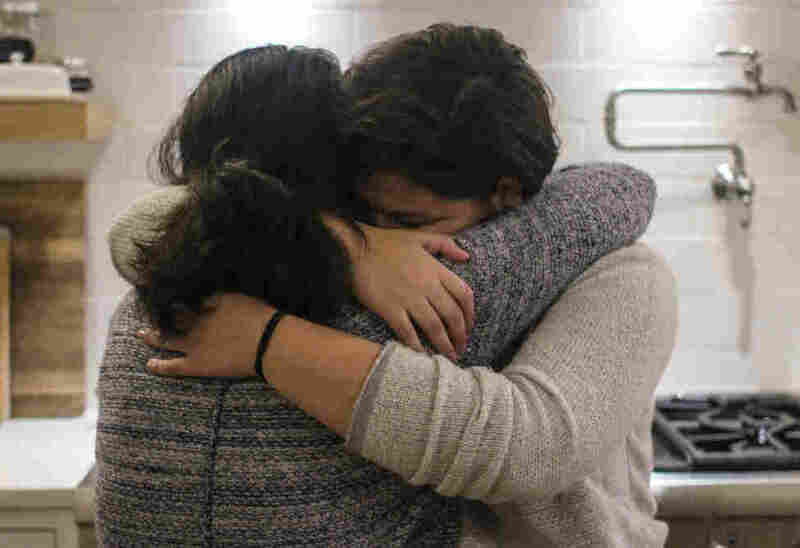 A Mom And Her Teenage Daughter Brace For A Future Apart Maria is one of nearly 200,000 Salvadoran immigrants who could lose their temporary protected status this year. "[I'm] terrified of missing you growing up," Maria tells her daughter at StoryCorps. Maria Rivas and her 15-year-old daughter, Emily, embrace after their StoryCorps interview last month. Two decades ago, Maria Rivas emigrated from El Salvador to the United States, where she received temporary protected status (TPS) allowing her to stay and legally work. But later this year, TPS – a humanitarian program — is set to expire for nearly 200,000 immigrants from El Salvador, including Rivas. If forced to leave the U.S., Maria won't take her U.S.-born daughter, Emily, with her. 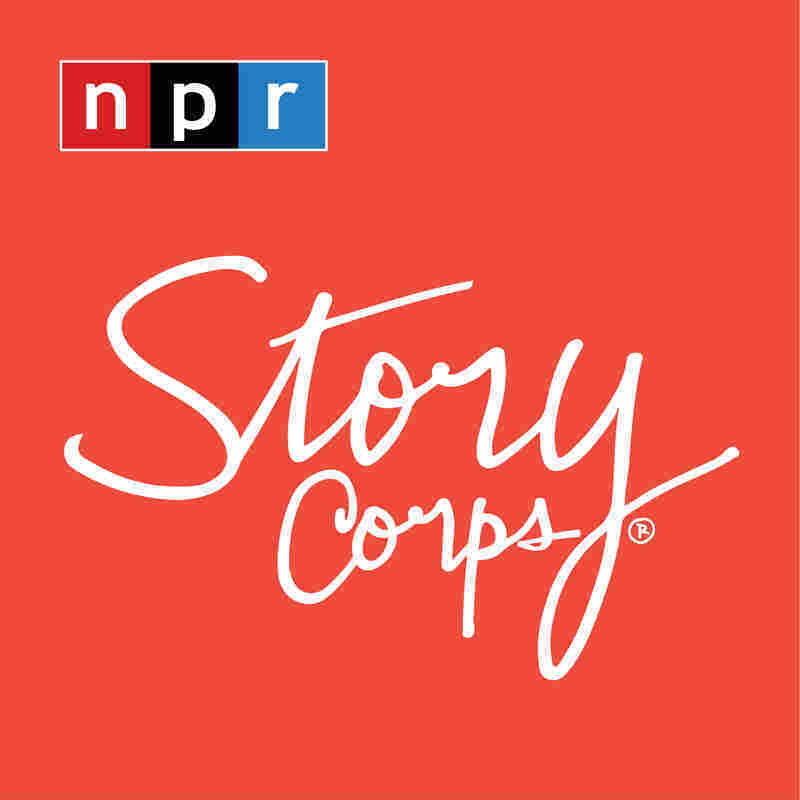 At StoryCorps last month, Maria, now 40, sat down with Emily, a 15-year-old high school freshman, to talk about their uncertain future. Given the sensitive nature of the family's situation, Maria prefers not to share Emily's last name. Emily asks her mother what it was like for Maria to come to the U.S. in 2000, three years before she was born. "I didn't know [English] besides 'good morning' and 'what's your name?' when I came here," Maria says. "When you were baby, I used to read to you the Dr. Seuss books, like One Fish, Two Fish, Red Fish, Blue Fish. And that's how I learned English, reading to you." Over the years, Maria has supported her family by working as a housekeeper and a nanny in the Washington, D.C., area. Emily says she never imagined that her mom might have to leave the country one day. "I never really put in much thought that you were an immigrant," she says. "I just thought that, you know, you're my mom." That suddenly changed early last year when the Trump administration announced plans to end TPS for Salvadorans like Maria. Emily was at school when she learned of Trump's announcement. "My phone buzzed and I just saw the notification that TPS was going to terminate. And I remember I started crying." She immediately called her mom. "I tried to calm you down," Maria says. "I am like, OK, this is happening. This is really happening. So I put myself together, because I knew that I have to be strong for you. And I didn't promise something that I cannot keep. So I didn't promise you that everything will be OK. But I promise I'm going to make sure that you are OK."
Both Emily and her mother are left worrying about the future. Maria says she's "terrified of missing you growing up." That fear, Maria says, looms larger for her than the thought of returning to El Salvador and facing drought, poverty and gang violence. As for Emily, she says, "I'm scared that I'm gonna have to do everything all by myself." "You're not going to be alone, I promised you that," Maria says. "And I'm very hard to get rid of. So I'm going to be on the phone all the time." She also promises to be a constant presence in her daughter's life. "I'm going to die of an old age and be the pain on your neck all the time," she says, "and make sure that you find strength even in a bad moment." The temporary protected status for El Salvador natives is set to end on Sept. 9. In the meantime, their status is in limbo as they await rulings on a number of legal challenges to the proposed termination. Maria says if she has to leave the U.S., she will do so before she is deported to show that she's following the law. Emily will live with a family that Maria used to nanny for. Audio produced for Morning Edition by Mia Warren and Camila Kerwin.